My kids love yogurt. We go through tons of it at our house, but I had never heard of Aussie Style yogurt until recently. And I am so glad I did! Yulu (today’s sponsor) contacted us to try out their new yogurt. It was so rich and creamy that I had to turn it into a fun after school snack for kids! 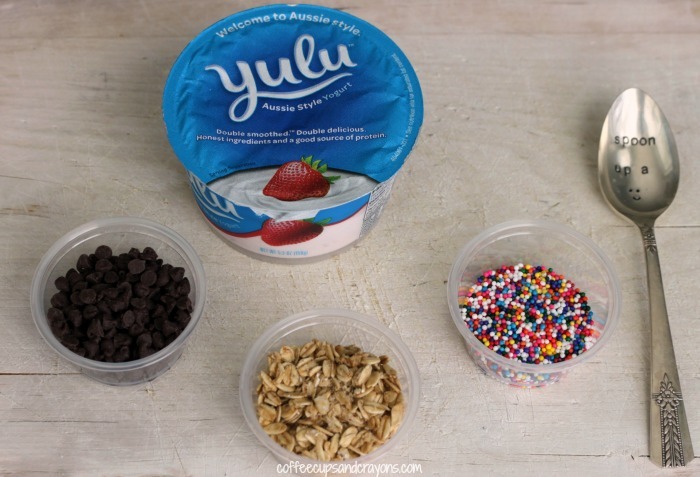 Yulu yogurt is inspired by Australian yogurt and is double smoothed to make it extra creamy. It’s like having a delicious bowl of ice cream for breakfast! 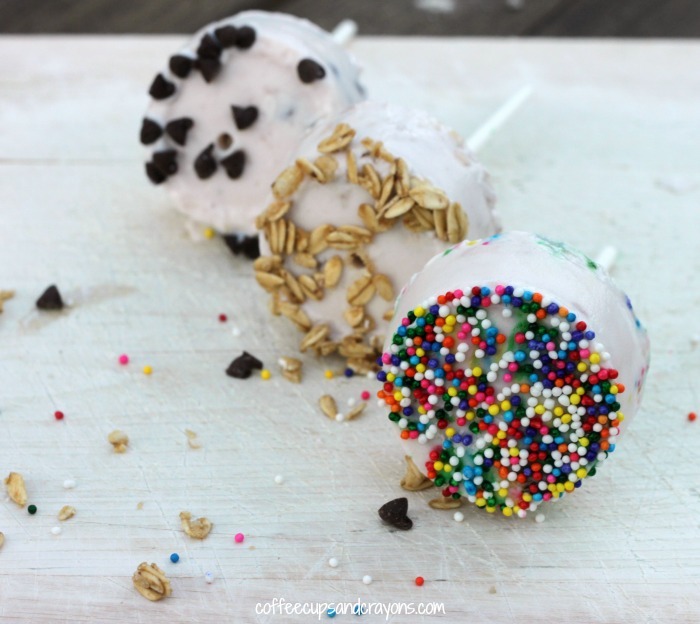 I decided to take it one step further and make creamy frozen yogurt lollipops for the kids to eat when they came home from school. They are always hungry and I love to give them protein to help fill them up before they start their homework. 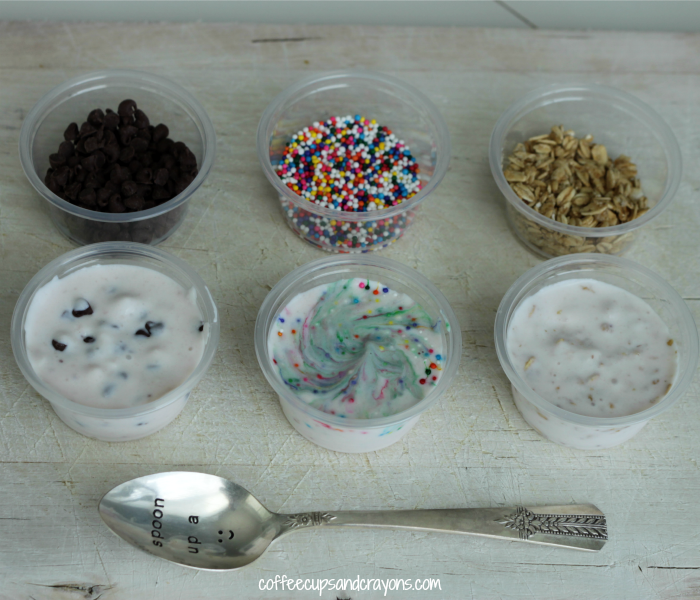 Add the yogurt to small containers and add your toppings. We used small condiment containers that I found in my pantry, but even ice cube trays would work. I liked how these were round and looked like lollipops. 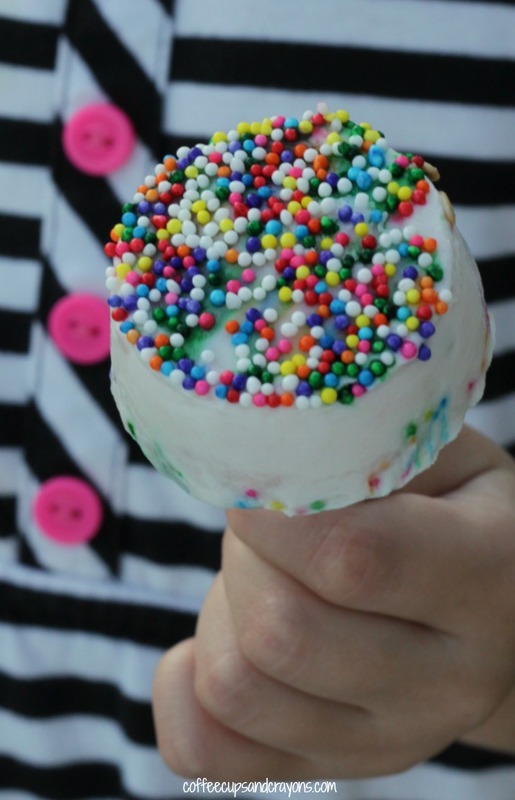 We mixed the toppings in and stuck them in the freezer for a couple of minutes before putting the lollipop sticks in. 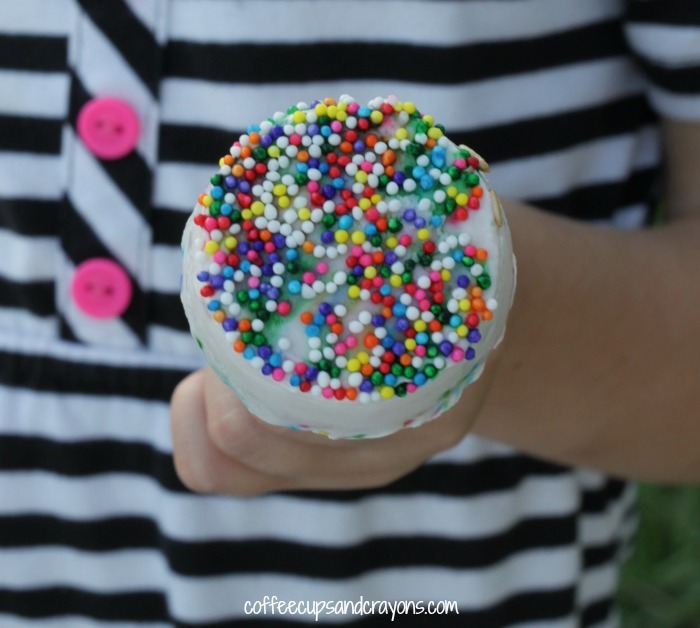 The kids loved how the colors from the sprinkles swirled around in the container! After a couple minutes I stuck the lollipop sticks into the middle and we left them in the freezer to fully harden. It only took an hour or so. Then the frozen yogurt popsicles were ready to eat! I used my scissors to cut the sides of the containers to remove the popsicles and thought we were done but the kids decided they would be even better if we re-dipped them in the toppings! And they were right! The creaminess of the Aussie Style yogurt combined with the texture of the toppings was perfect! I have to say we are quite obsessed! Have you tried or heard of Australian style yogurt before? It may be our new favorite!